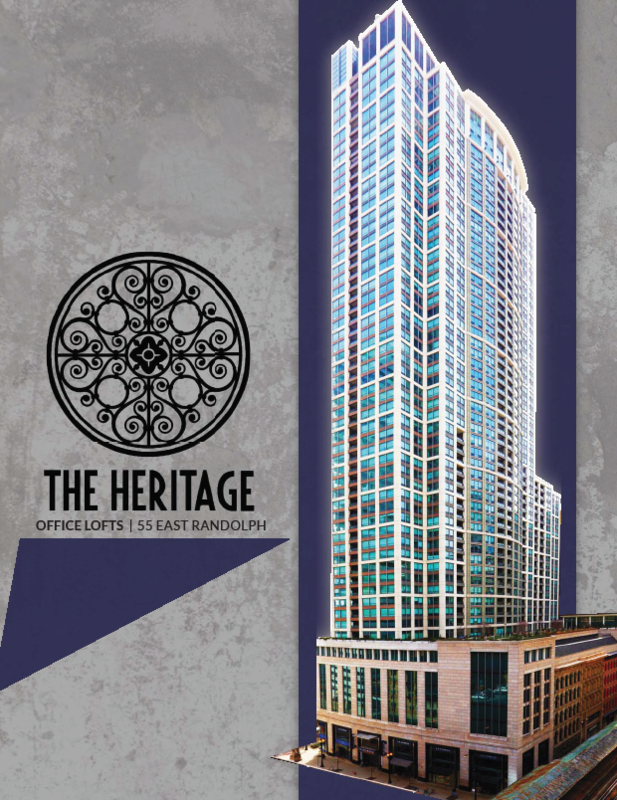 The Heritage Office Lofts at 55 East Randolph is a single floor office suite situated below a 57-story, luxury condo tower. Available office space totals approximately 16,000 square feet (divisible to 2,500 square feet) and features concrete loft space with dramatic 14-foot ceilings, prime elevator identity, and an open floor plan lending itself well to a customized build out. Exterior building signage is available. Amenities include an LA Fitness club on the second floor, parking, and direct Pedway access. 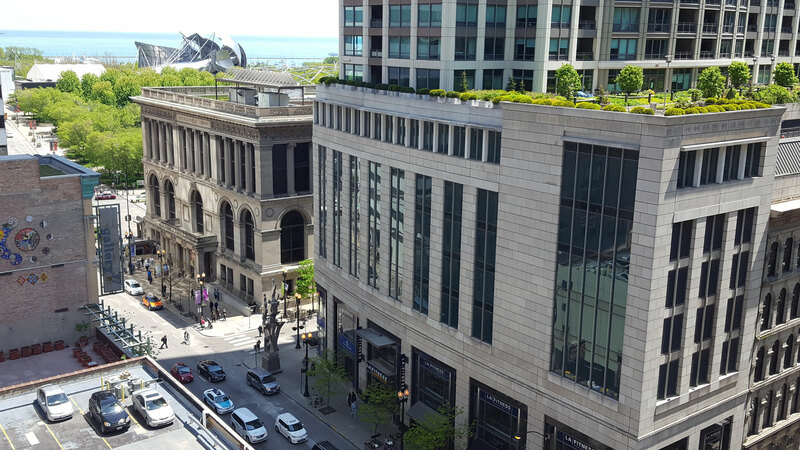 Located in the East Loop on the southeast corner of Randolph and Wabash, The Heritage offers direct access to the Red and Blue Line trains and Millennium Station through the Pedway. It is also just a block away from Brown, Orange, Green and Purple Line trains and a plethora of bus lines. Other nearby attractions include Millennium Park and State Street shopping.